Where is Jardines del Rey Cuba? The Jardines del Rey Archipelago consists of thousands of islands along Cuba’s northern coast. While many of these islands are tiny islets and cays, some are larger islands which have either been developed or, are in the process of being developed, for tourism. Jardines del Rey means The King’s Gardens in English and is quite an apt name for this glorious virgin area of Cuba. The islands within the Kings Gardens Archipelago range from about 10 to 50km away from Cuba’s north coast and are technically located in the Atlantic Ocean. The whole archipelago called Jardines del Rey includes over 2,500 islands and islets spanning the provinces of Matanzas, Villa Clara, Ciego de Avila and Camaguey. The Cays of the Jardines del Rey first saw tourist development in the 1990s, Cayo Guillermo in 1992, with the opening of the Hotel Gran Caribe Club Villa Cojimar, followed by the first resort called Guitart Cayo Coco (now the Hotel Colonial) opened in 1993 on the neighboring island Cayo Coco. Initially, there were no international airports on any of the islands. Tourists flew into the Maximo Gomez airport located in the capital of Ciego de Avila. The construction of the pedraplen causeway from the mainland began in 1988, its 27kms (16 miles) length connecting Cayo Coco to the mainland of Cuba was concluded in just 3 years and, with it began the meteoric era of tourism on both islands in the King’s Gardens. A seven kilometers causeway, which ends with a 1.5 km bridge, was built to connect Cayo Coco with Cayo Guillermo. The construction of second pedraplen causeway from the mainland began in 1988 and was completed 10 years later in 1998, its 48kms (29 miles) length connecting Cayo Santa, with it began the explosion of tourism on the latest tourism destination of the King’s Gardens. 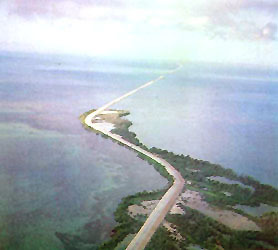 A 38 kilometers causeway was later constructed to connect Cayo Santa Maria with Cayo Las Brujas. 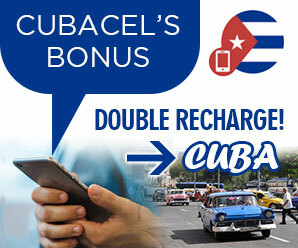 To give an idea of distances between major destinations in Cuba, Cayo Coco is 506km (314 miles) from Havana. Varadero is 466 km (289 miles) from Cayo Coco, whereas the closest cities to Cayo Coco are Ciego De Avila (population of 86,100) at 101km (62 miles) and Moron (population of 60,600) 62 km (38 miles). Cayo Coco and Cayo Guillermo are just 30km apart and are connected by the aforementioned causeway. Though there are no direct flights, to give an idea of just how close Jardines del Rey in Cuba is to The Bahamas, the Clarence A. Bain Airport (MAY) in the Bahamas is just 214 km (132 miles) from Jardines del Rey International Airport – Cayo Coco, Cuba (CCC). The United States of America is very close to Jardines del Rey with Key West Florida is just 261 miles (420 kilometers) by flight from Cayo Coco, Jardines del Rey. Tags: Cayo Coco, Cayo Cruz del Padre, Cayo Ensenachos, Cayo Esquivel, Cayo Fragoso, Cayo Guajaba, Cayo Guillermo, Cayo Las Brujas, Cayo Paredon Grande, Cayo Romano, Cayo Sabinal, Cayo Santa Maria, Islands of Jardines del Rey, Jardines del Rey Keys, Jardines del Rey Main Islands, Where is Jardines del Rey Located? Posted in Where are Jardines del Rey Islands?